You may know by now that I have an extreme love-hate relationship with Saturday and Sunday and last weekend proved no different. 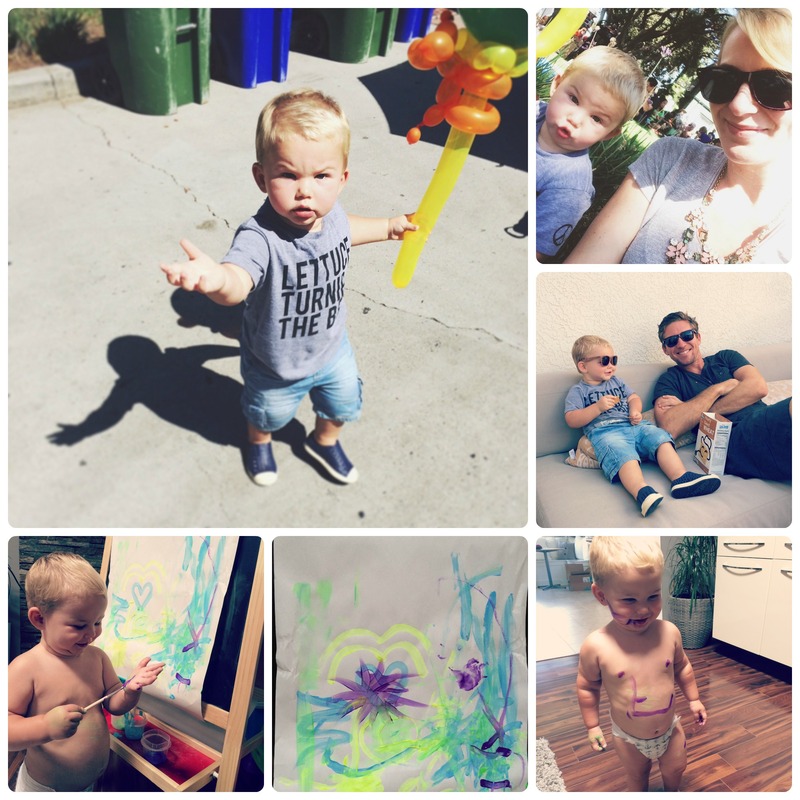 From Legoland to Santa Monica Farmer’s Market, we embarked on an impromptu road trip full of fun, whining, laughter, napless tantrums and lots of driving. Now that Wes is older and interacting with his surroundings in a more meaningful way (aside from trying to eat his surroundings), I’ve been longing to fill our weekends with new excursions. Field trips help keep Wes entertained and are a great way to spend quality time together and escape the suffocating heat of the San Fernando Valley. 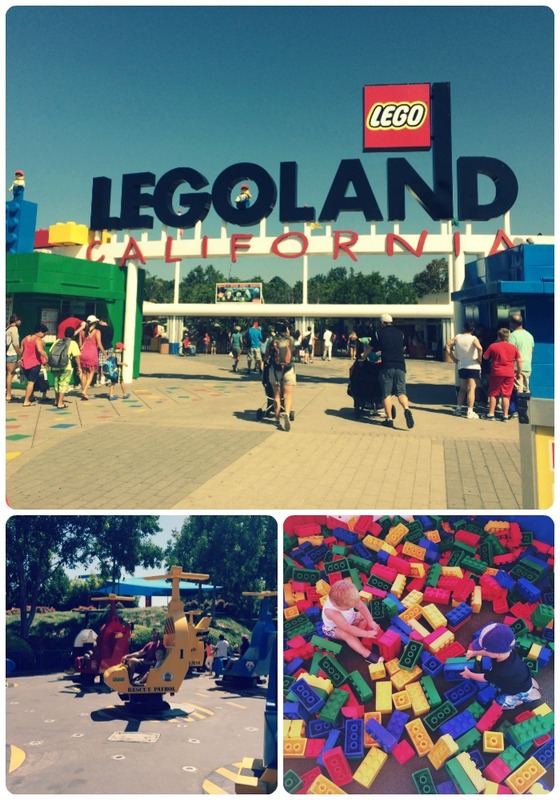 This past Saturday we found ourselves at Legoland in Encinitas, California. Lucky for us, it was a quick 2 hour drive. While many people stay at the Legoland hotel, we opted out this time around. At 21 months, I think Wes is still too young to appreciate the creativity and price tag associated with the hotel (the cheapest room was $414 per night). That said, most hotels in the area are set up for families visiting Legoland so options are abound. We stayed at a Marriott Residence Inn for $120 bucks a night. Not the Ritz but it did the job just fine since we spent the majority of our time out and about having a blast! Height requirements for many of the rides start out at just 34 inches. Best and biggest variety of non-ride attractions. 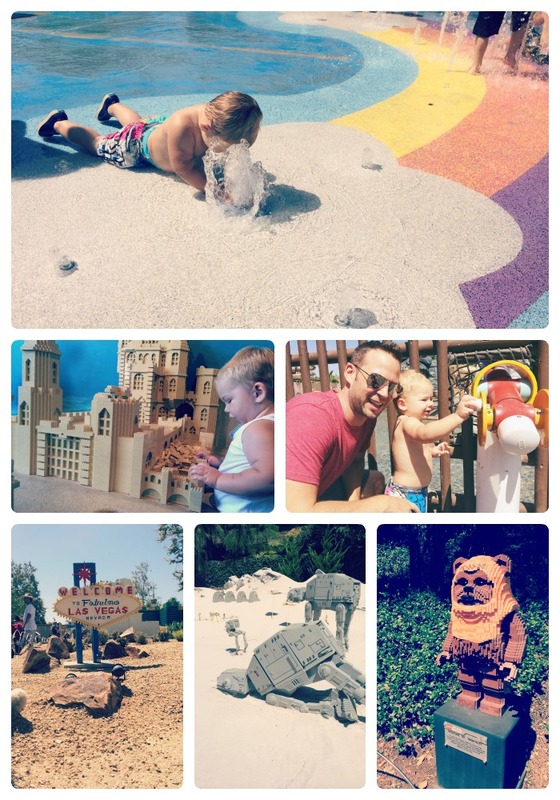 Our favorites included, “DUPLO Playtown, Pirate Shores, Aquarium & the Star Wars exhibit in Miniland. Legoland also offers a special list called, “What To Do When You are 2” to help identify rides and attractions that are appropriate for toddlers. Visit here. Size. You can get from the back of the park to the front entrance/parking lot in 10 minutes. The park is laid out in a convenient circular flow with maps that are easy navigate – all the fun is packed into a nicely organized and well maintained space! The Babycare Center in Funtown offers changing area with diapers, rocking chairs for nursing mothers and highchairs, as well as a refrigerator and microwave for preparing a baby’s meal. Location & crowds. Legoland is practically on the beach which means the weather tends to be more mild than inland destinations. Additionally, because Legoland is located outside of Los Angeles and caters to ages 12 and below, the crowds tend to be smaller than say, Disneyland. Healthy eating options. If you don’t feel like schlepping tons of food to the park, fret not. You can choose from several restaurants stocked with healthy snack options such cut up fresh fruit, yogurt pouches and more. If possible, go during the “off” season or during the week to avoid crowds. Legoland also offers special deals during the week so be sure to check the website. Purchase tickets online and in advance to save on costs. Coupons are also available online. Get there early to avoid long parking and entrance lines. Park opens at 10am but many people get there at 9:30am, as sometimes they open the gates early. Some passes also include early entrance so check online for ticket options. Visit busy and popular rides first to beat long lines and save the indoor and/or water attractions for when the weather heats up. 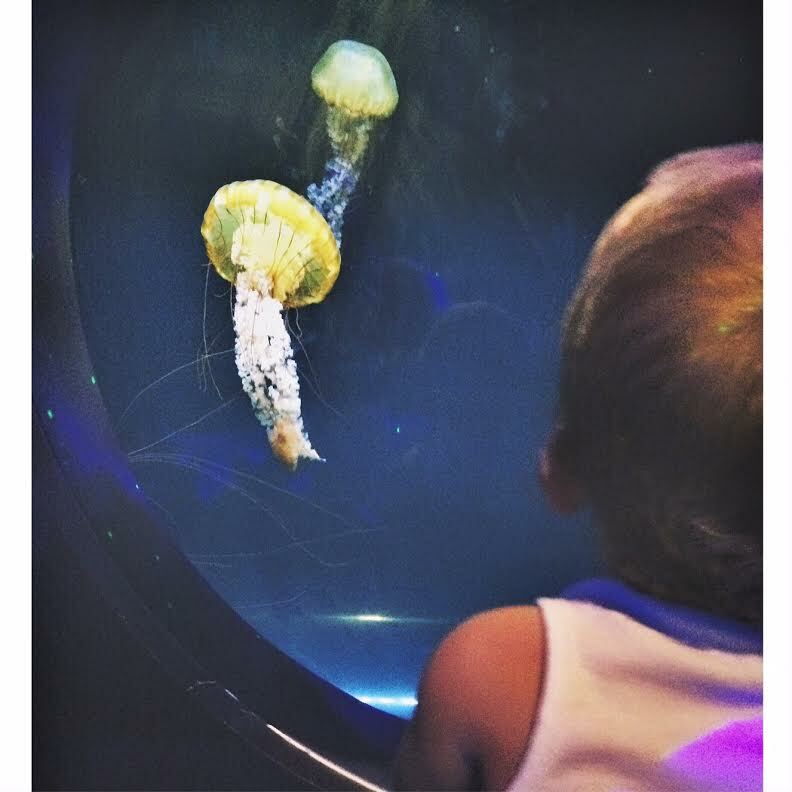 The aquarium is a great option to escape the heat as is Pirates Cove. As you can see below, we had a great time at Legoland. Our only regret is that we didn’t do this sooner. Next year, it’s all about the season tickets. After dropping off daddy at LAX on our way home from San Diego early Sunday morning, Wes and I headed to the Santa Monica Farmers Market to get something to eat and enjoy the gorgeous day. A mini petting zoo complete with pony rides, food stands, jazz band, face painters, balloon artists and vendors selling clothing, home wares and fresh fruits and veggies give the SMFM the feel of a small fair. Wes and I spent a good hour and a half dancing, eating and watching the balloon artist contort rubber into all sorts of shapes. If you live in SoCal and are anywhere near the Santa Monica area, I highly recommend a visit with the kids. It’s a great family friendly environment and a wholesome way to spend any Sunday. Once we had our fill of the market, we made a pit stop to visit some friends and their new baby. It’s hard to remember Wes was ever that little and as I left, I felt my heartstrings tug a little at the thought of having another. I think I’m finally ready to add to our brood, but that’s for another discussion. The valley heat was sweltering by the time we got home, so I did my best to keep the munchkin happy painting indoors and Uncle Jon attacked Wes with some good old fashioned war paint ;). We capped off our day with some take out and a good long cuddle session before we hit the sack. The weekend was definitely packed to the brim. While these kinds of weekends often leave me exhausted and slightly stressed that I didn’t accomplish anything “logistic” that goes with having a family and a home, they sure do leave my heart full and my soul happy.